After a mild fall, winter has truly arrived in time for the holiday season. Crisp snow has covered the Calgary Zoo grounds, reflecting the shine of 1.5 million LED lights, as the annual evening event ZOOLIGHTS is in full swing. Zoo visitors bring friends and family out to experience Calgary’s favorite holiday tradition. 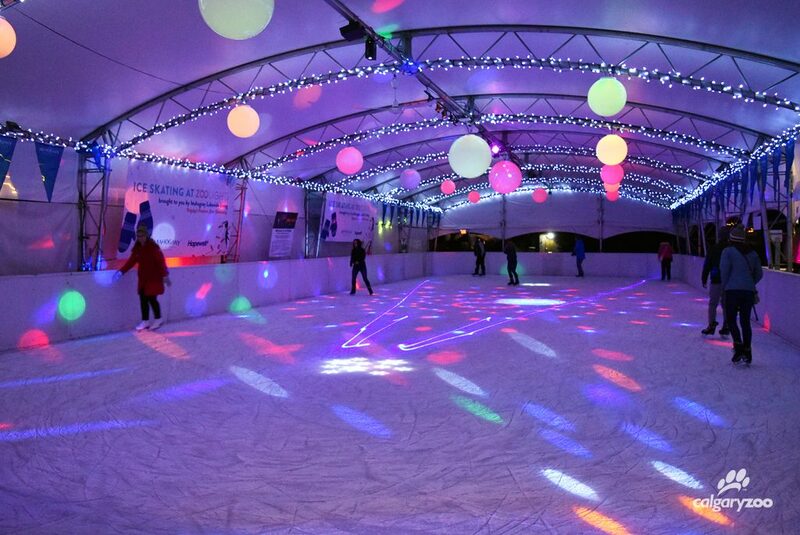 1 – Twirl the night away under a canopy of lights at the zoo’s skating rink sponsored by Mahogany Lakeside Living. Skating becomes a musical party every Thursday, Friday and Saturday night when a DJ joins the celebrations. Don’t have skates? No worries. There are free skate rentals (courtesy of KidsSport Calgary) available on site to make sure everyone has the chance to go for a lap. 2 – It’s time to test your Canadian skills with the Calgary Hitmen Shoot to Win challenge! 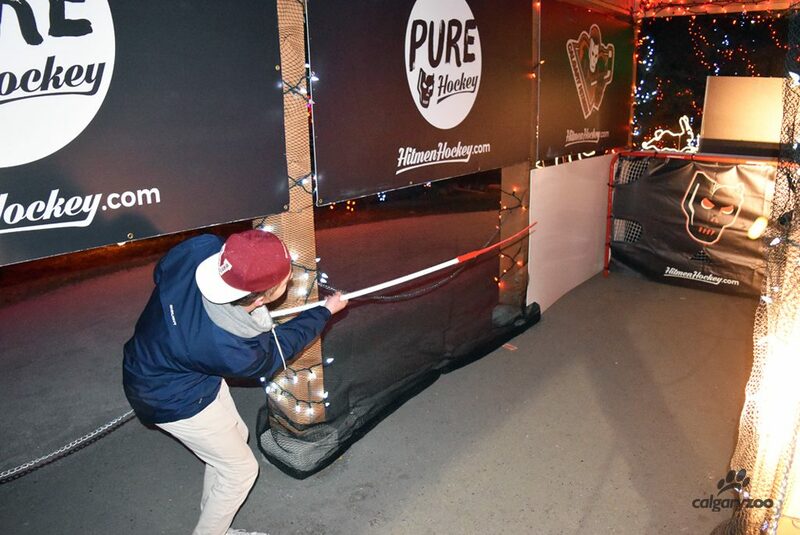 Pick up a hockey stick burn to earn free kids vouchers, and the chance to win a grand prize – box seat tickets to a Calgary Hitmen game. The Calgary Hitmen are offering fun prizes to those who participate in their Shoot to Win Game- and the chance to be entered in a grand prize. 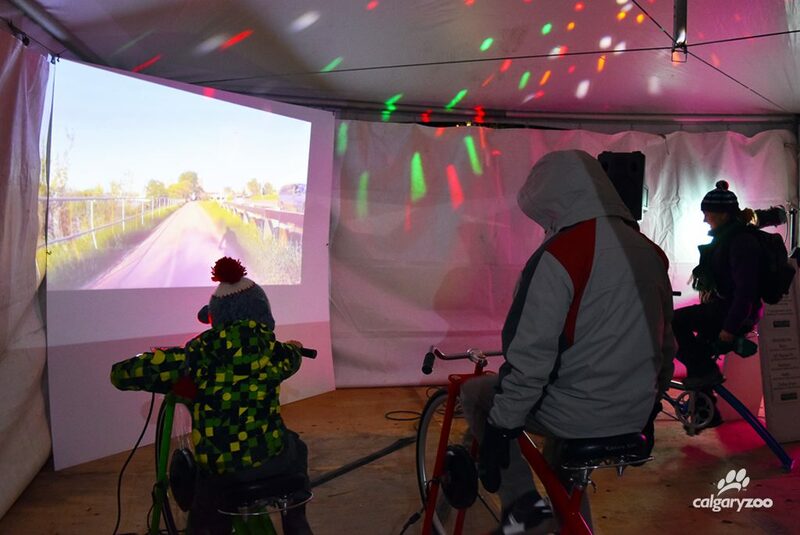 3 – ZOOLIGHTS gets active with the new Pedal Power activity. Participants can take a virtual tour of Calgary biking paths by powering a screen on a stationary bike. This challenge will get visitors moving at the same time showing off just how much electricity is necessary for everyday activities. Education on energy conservation? Check. It’s a fun way to challenge your friends – you’re off to the races! 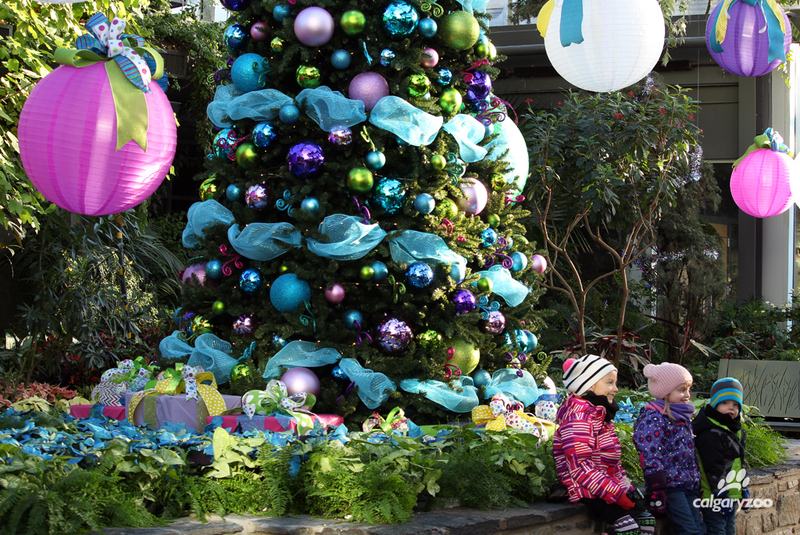 4 – The ENMAX Conservatory takes on a new theme each year, and this season spares no glitter in Zooville! Whimsy and delight come to life in these lush gardens. Visitors young and old can dress up like a Who character in the Zooville Salon, complete with free face painting. 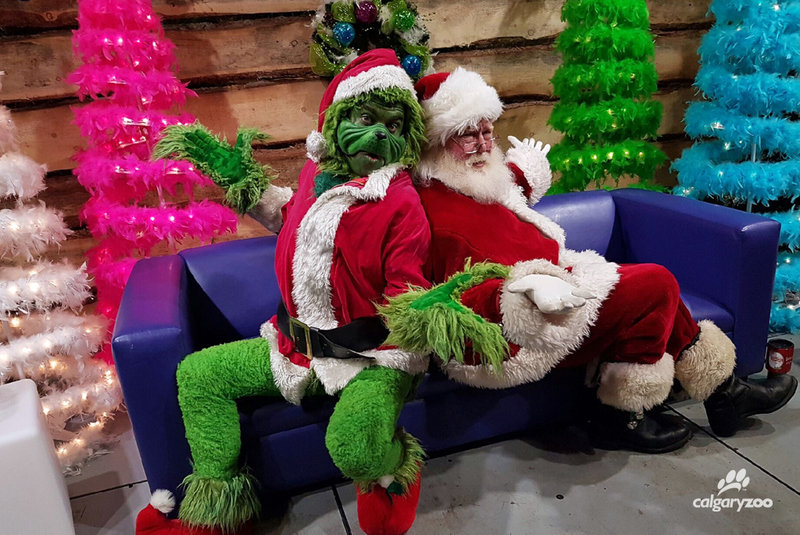 Santa visits are available until December 23, 2016. Little ones will enjoy Story Time in the butterfly gardens from Thursday to Sundays and if guests are looking for an encounter with a certain man in green, he’s creeping around every Thursday night. Your heart might even grow three sizes that eve. 5 – The winter weather has been nipping at our noses so take a break in the ENMAX Conservatory where you can enjoy a tropical environment. Zooville has transformed the jungle indoors, adding pops of colour and sparkle to the scene. The dazzling 15 foot tree is sure to impress, and is the perfect spot for a group selfie. The Christmas tree in the main Garden Gallery is a sight to see this year! ZOOLIGHTS runs nightly from 6 – 9 p.m. until January 8, 2017. Entrance to the event is at the zoo’s North Gate only. General admission (16 years and up): $14.99 (plus GST). Children (3-15 years old): $11.99 (plus GST). Parking is available in the north lots for $7. Tickets are available at the gate the night of or can be purchased online for easy access.